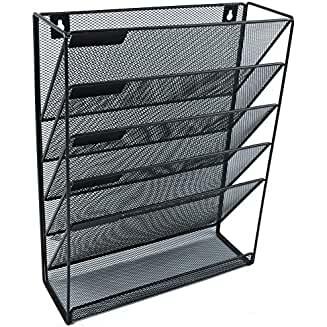 This first option is a standard mesh wall file organizer with 5 tiers to hold a lot of paperwork–stuff that would otherwise clutter your desk. This is super easy to install and it’s a quick way to take charge of your clutter. 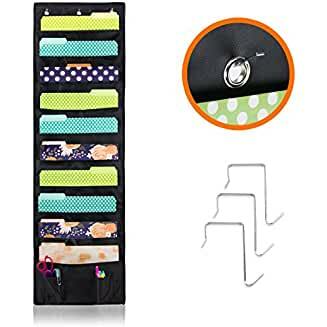 You’ll find this organizer at Amazon for under $20, so that makes it easy on your wallet too! 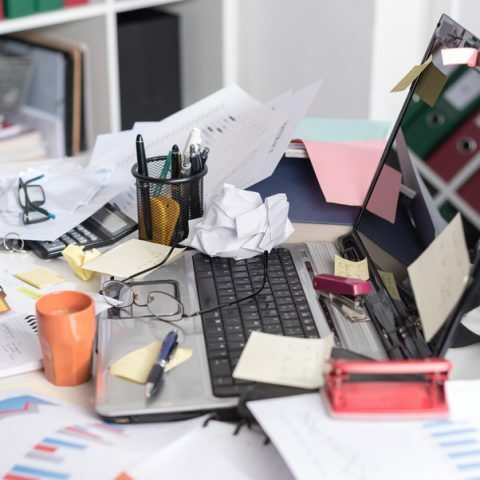 This organizer is an Amazon Bestseller. 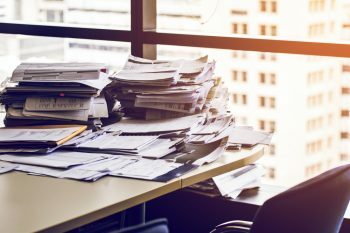 The shelf at the bottom is handy for holding desk accessories that you want to keep close at hand without stowing them away in a drawer. 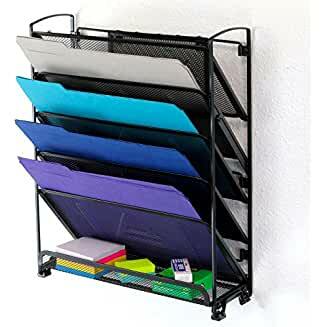 With this wall file organizer’s sturdy little feet, you also have the option to let it stand on top of a desk or filing cabinet. 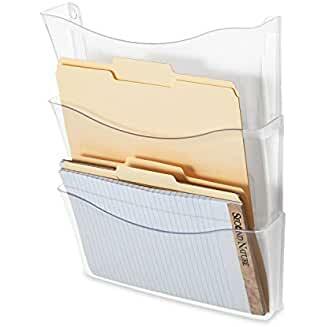 If you’re in the mood for something less obtrusive, you might go for this expandable, non-breakable clear wall file organizer from Rubbermaid. It mounts to the wall using either mounting tape or screws. 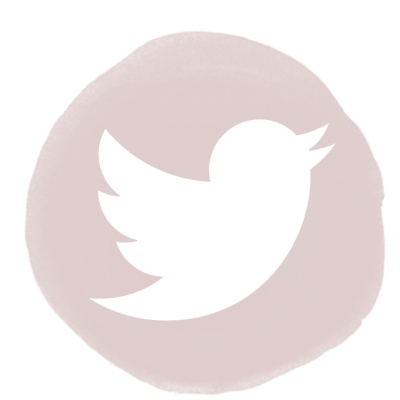 And bonus–it costs less than $14! Here’s a stylish option that features the possibility of hanging it over a door or a cubicle wall. That’s a space-saving bonus! It also has more pockets than the others with ten spots to hold your files. Each of the ten pockets will hold up to 450 papers, so that is a lot of organization! There are also two additional pockets to hold accessories such as pens, scissors, etc. Find this hanging organizer for under $15 at Amazon.